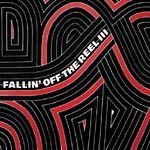 Following up the success of the first two volumes, the third entry in Truth & Soul's Fallin Off the Reel series packs in 20 tracks originally pressed as limited edition 45'' singles, listed in chronological order of their release. Choice selections from the label's expansive roster of contemporary and classic soul, funk and R&B talent features artists such as El Michels Affair, Black Velvet, Michael Leonhart, Lee Fields & the Explorers and Cosmic Force. FOTR III serves as both the ideal introduction for casual fans and a comprehensive retrospective for long-time listeners of one of the most consistently excellent and relevant Soul Music labels in music today!